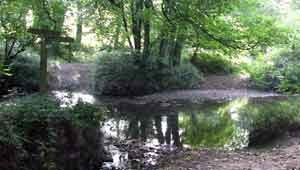 Self Catering Accommodation for visitors to North Tawton and surrounding area of beautiful Devon. 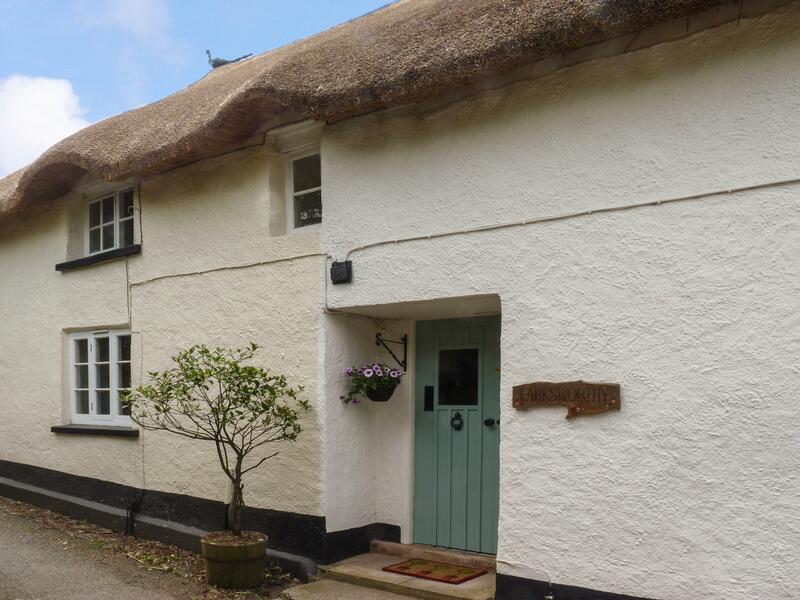 Larksworthy Cottage is a delightful thatched cottage situated on the edge of North Tawton, down a quiet country lane in a peaceful and tranquil location. The interior of the property has been designed and decorated to an extremely high standard and is the perfect balance of traditional and contemporary. The exposed beams and stone fireplace give the cottage a sense of history, whilst the wood burner in the sitting room is the perfect spot to get warm and cosy after a long day’s exploration. There is a small garden at the rear with a decked area and comfortable seating under the trees, a wonderful shelter for relaxing with the family in the evening. The cottage is in close proximity to the local shops and pubs and is an ideal base for exploring Dartmoor and its surrounding villages. 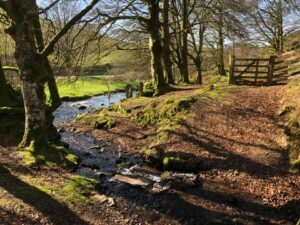 There’s plenty to see and do nearby, such as admiring the grandeur of the Dartmoor Tors, strolling around Abbeyford Woods and exploring by foot or bicycle. Sykes Cottages has a great selection of North Tawton holiday cottages, find out more by clicking Sykes Cottages or calling us on 01244 356695. Historic Grade II listed Burton Hall, formerly The Old Norse Lodge, situated on Bouchiers Hill, North Tawton, offers self catering accommodation.